Guys, apologies for the long gap in posting! I just started a new job, we are in the middle of summer craziness with the kids and July has just run away from me. To be perfectly transparent I think I’m going to be posting every other week until things calm down a bit. But if you need your samosa junkie fix, you can alway follow me on instagram – @shvetaberry where I usually post several times a week. And speaking of being busy, I am always on the hunt for things to make my life easier. And I have discovered something that not only is more convenient but it actually tastes better. I finally signed up for a community supported agriculture program. I know, I know, these programs aren’t new. But I have been in denial all these years. In my head I dream of waking up Saturday or Sunday morning, driving to the farmer’s market, leisurely looking through the produce while my kids play peacefully, buying the food for the week, getting a few tasty snacks for all of us and then driving home with all our fresh produce. In reality, I make it to a farmer’s market like twice a year. Not because I don’t want to – I love going to the market but my life usually doesn’t support it. Weekends get full of kid’s activities, birthday parties, trips, etc. But as luck would have it, I saw a van with “Farm Fresh to You” painted on the side of it on my street a couple of months ago and was intrigued. I immediately checked out the website and signed up. 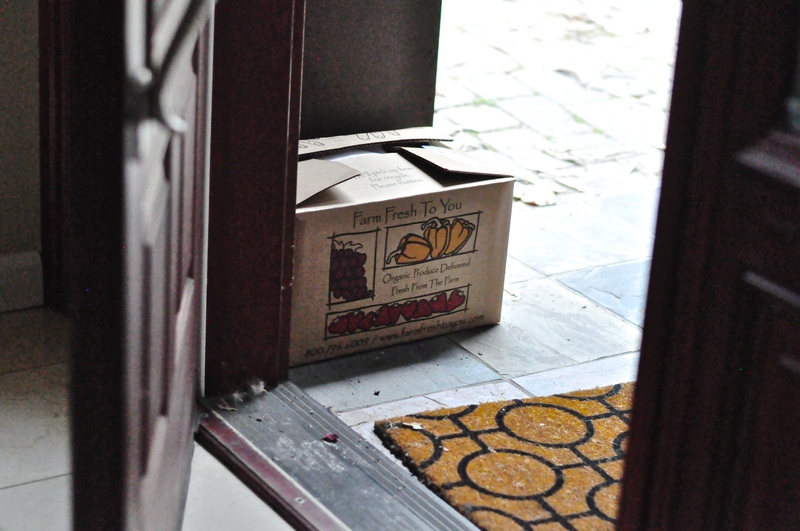 Farm Fresh to you delivers the CSA box directly to my door once a week. I find it on my stoop every Tuesday morning. They must work through the night like elves because when I look for it at 6:30am it is always there. 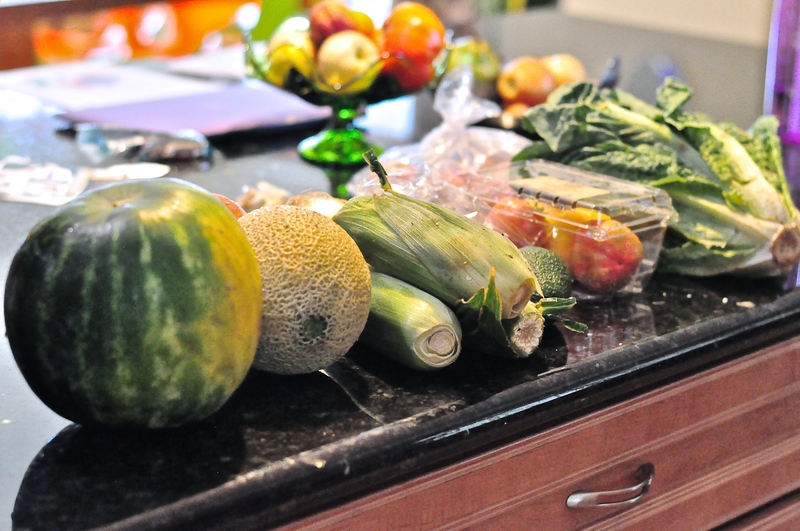 And since subscribing to the service, the fruits and veggies in my house have never tasted better. Everything is picked within 24 hours of being delivered so it is crazy fresh and that is evident in the flavor. I have enjoyed the best watermelon, peaches, and corn I can remember. Farm Fresh to you actually also allows me to customize my box starting 3 days before so I can tailor it to what I want to cook the following week. When I wanted to make Bahn Mi from Andrea Nguyen’s new cookbook, I was able to order carrots, radish, cilantro, and lemongrass. Farm Fresh to You has a pretty large selection so I always am able to get what I need. My most favorite order recently has been for maitake mushrooms. I used them to make veggie tacos with a homemade black bean chipotle spread and they were ridiculously good. A typical week’s haul – all this for $33! 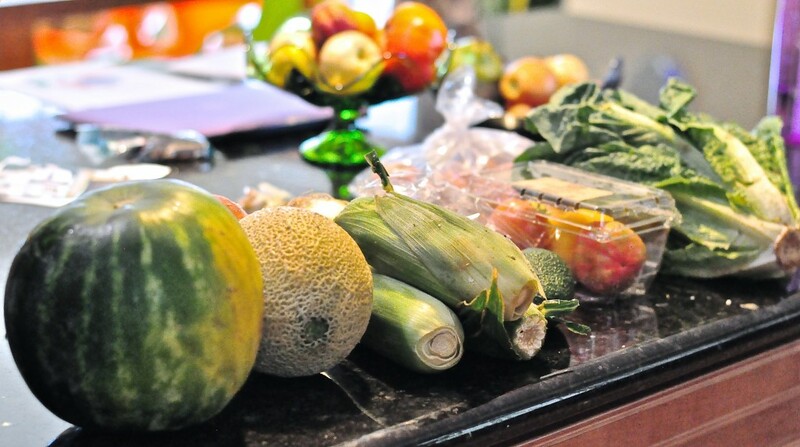 Another added bonus is the produce lasts longer in your fridge if you aren’t able to cook it right away. Plus the cost is very comparable to the supermarket if not cheaper for the items that are at the peak of the season like tomatoes. For those of you that live elsewhere, I highly encourage to seek out your local CSA and join. You will support local agriculture and your food will taste better. Win win in my book!